The Chinese smartphone maker OnePlus first launched its premium flagship phone, the OnePlus 5, in India back in June this year and the smartphone has since been the favourite of many, with a slew of premium features packaged into an affordable price. Placed at a price point of Rs. 32,999, the OnePlus 5 comes with 6GB of RAM and 64GB of internal storage while the second variant of the handset featuring 8GB of RAM and 128GB of internal storage comes with a price of Rs. 37,999. Among these two variants, the 6GB RAM/64GB internal storage model was previously available only in Slate Grey colour option and on the other hand, the OnePlus 5’s 8GB RAM/128GB internal storage variant was available only in Midnight Black colour option. 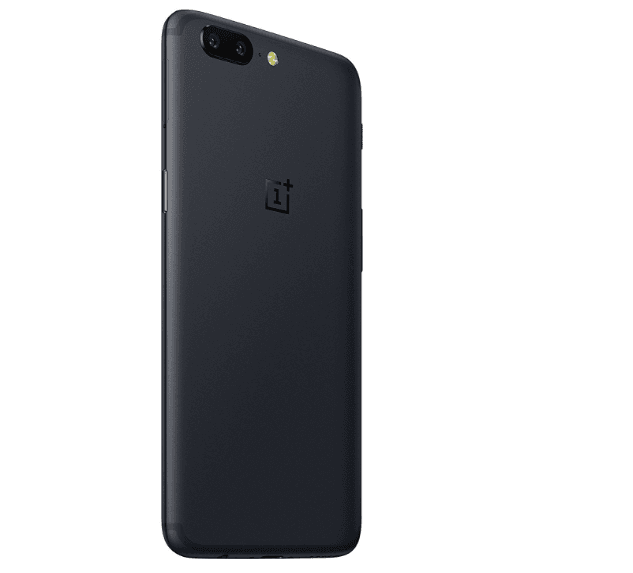 With the tremendous increase in sales and a rapidly growing fanbase, the company recently unveiled the Soft Gold limited edition of the OnePlus 5 in India that packs in 6GB of RAM and 64GB of storage onboard. Now, OnePlus has officially launched the new Slate Grey variant of its latest premium smartphone comprising of 8GB RAM and 128GB of native storage. With this announcement, the Slate Grey variant of the device along with the already existing Midnight Black variant will have the same price tag of Rs. 37,999. You can now purchase the device online exclusively via Amazon and will also be available for sale on the company’s official OnePlus online store. Interested buyers also have the option to purchase the new Slate Grey variant of the OnePlus 5 from the OnePlus Experience stores in Bengaluru and Delhi, in the following weeks. Apart from the new paint-job, the rest of the OnePlus 5 specs remain the same. To recall, the OnePlus 5 sports a 5.5-inch Optic AMOLED display with a Full-HD (1920 x 1080 pixels) resolution and a 2.5D curved Corning Gorilla Glass 5 on top for screen protection. Under the hood, the device wraps-in the latest 64-bit octa-core Qualcomm Snapdragon 835 chipset, clocked at a speed of 2.4GHz and accompanied by an Adreno 540 GPU for gaming needs. On the software front, the OnePlus 5 runs on Android 7.1.1 Nougat OS with the company’s OxygenOS version on top to add its own touches to the platform. One of the main highlights of the OnePlus 5 has to be its dual-camera setup which is a combination of a 16MP Sony IMX398 sensor with f/1.7 aperture, and a second 20MP Sony IMX350 sensor that features a telephoto lens with f/2.6 aperture. The dual rear cameras come with added features like 2X lossless zoom, 8X digital zoom, fast autofocus, an iPhone-like portrait mode, pro mode with manual control, ISO, RAW format support, and the ability to record videos in 4K. There is a 16MP selfie-shooter with f/2.0 aperture and front-LED flash that sits on the front. The handset is backed by a 3,300mAh battery with the company’s Dash Charging tech for fast charging.